Nowadays, the aspects of equal opportunity are playing an important role in the evaluation of Collaborated Research Centers (CRC/SFB, RTG/GRK, RU/FOR). Funds can and should be requested for equal opportunity up to an annual amount of €15,000 for RTG and RU or €30,000 for CRC. 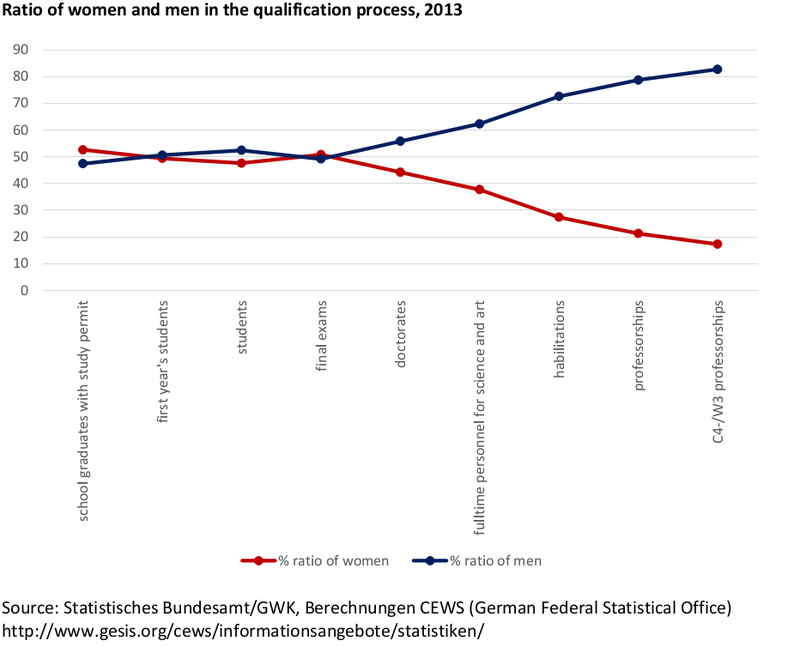 One significant reason for the relevance of equal opportunity measures is the still existing so called leaky pipeline in the science system: according to this the position in 2013 was 51 percent of female graduates versus 21 female professors (only W3/C4: 17 percent). This site provides you, the applicant (male or female) with information regarding the application and execution of equal opportunity measures: the downloading area contains a flowchart for the application, a short text module on equal opportunity at JGU as well as statistic reference numbers according to faculties at Planning and Controlling. The establishment of a targeted and custom-fit action plan for the respective subject culture and composition of people is a challenge in the application process.The Officers for Research services of Research and Technology Transfer can give you advice in general questions concerning your application. For special questions concerning equal opportunity measures please contact the gender consultants of the office of gender affairs and equal opportunity.